In part four of our vocal recording series, we talked about using compression and EQ as channel insert effects. In this entry and video, we’ll show how to add chorus and reverb using send tracks, then automate vocal levels for the final mix. 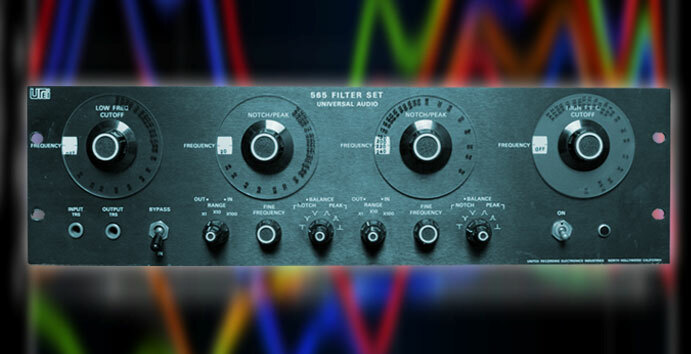 In this entry we’ll talk about using compression and EQ to maximize vocal quality and punch. Following our last installment, we’ll assume you’ve successfully recorded tracks with your vocalist. Now we’ll take the next step and edit the takes inside Mixcraft. In all likelihood, you’ve recorded more than one take of the performance, so we’ll need to go through them and edit the best parts into a single continuous performance. In our last entry, we talked about the gear needed to record pro—sounding vocals. This time around, we’ll talk about the recording environment. The two most important factors here are having a space that’s relatively quiet and sounds good. Recording and mixing vocals is possibly the most important part of pop and rock music production, so it pays to get it right. In this entry, we’ll offer some tips on each component of the vocal chain. Hi everyone! My name is Mark Bliss, and I’m honored to be the guest blogger for this installment of Zeros & Ones! When I began exploring DAW music production, my primary motivation was to learn how to create drum and backing tracks to jam to. 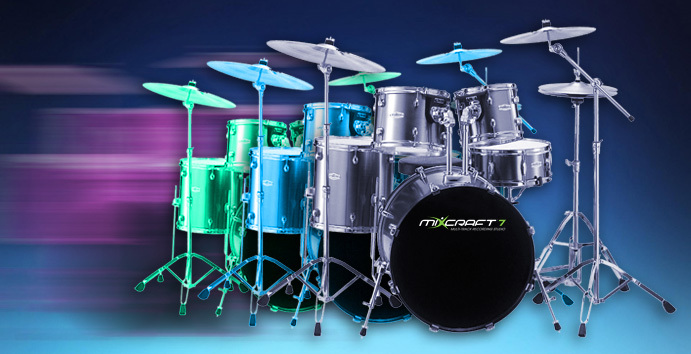 My search for drum tracks that sounded more realistic than drums machines led me to Acoustica Beatcraft, and later to Mixcraft. I learned there were more ways to create drum tracks than I had imagined. While things can quickly become complex, there are fairly simple ways to achieve great sounding drum tracks. 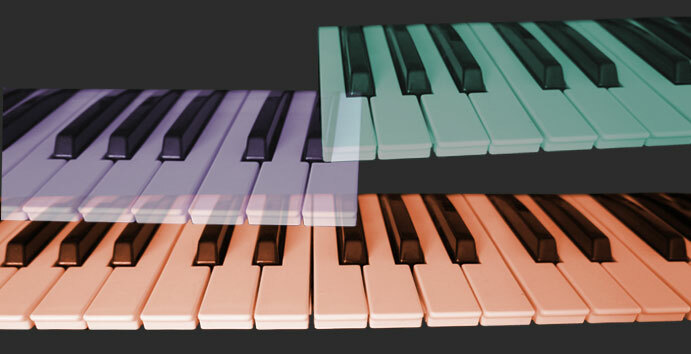 One of Mixcraft’s unique features is that it allows easy stacking of multiple virtual instruments on a single track. This lets you easily create the elaborate layered and/or split sounds usually associated with the “multi” or “combi” modes seen on workstation keyboards. Back With Another One of Them Block Rockin’ Beats! If you’ve clicked on the “Library” tab in Mixcraft, I’m sure you’ve noticed that even the entry–level Mixcraft Home Studio edition includes over 2000 loops and effects. Used “as-is,” you can easily create anything from basic rhythm sections to entire songs. But many users may not realize that with some crafty cutting, slicing, and tuning tricks, the loop library possesses infinite potential for unique, creative, and sometimes really out there manipulation. In our second installment of Super Synth Friday, I demonstrate more about Korg’s nifty Delta synth than you’ll ever need to know. 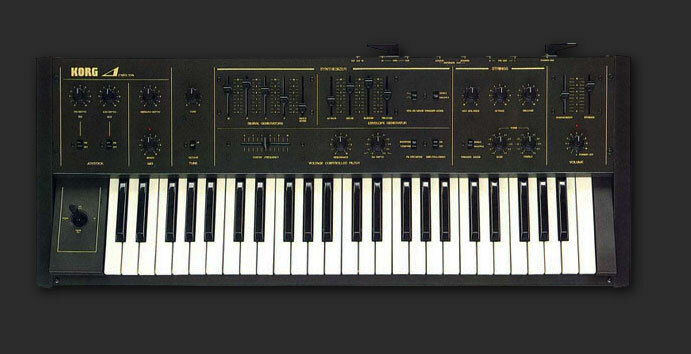 Is it a real-deal poly synth? A puffed up string ensemble? Who cares… it’s 100% cool. Check out the video below, and a have yourself a Super Synth Friday! Basics of Recording: What Is An EQ?